Any kind of investing is really just a game where you balance the risks versus rewards, and that’s as true in commercial real estate as it is in stocks, bonds, or commodities. Commercial real estate in the past was often thought of as a very high-risk market but one with equally high rewards. It was also only open to a select few individuals that enough resources, the right relationships, and useful information or knowledge. The modern market has made things different, as there are now more ways than ever for folks to dive into commercial real estate, with a veritable spectrum of risk/reward combinations than would have been dreamed of a generation or two ago. 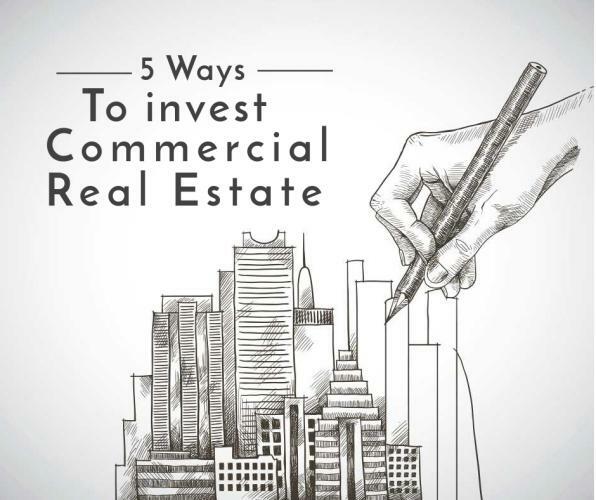 If you have any curiosity or interest at all in such matters, then keep reading to learn 5 ways you can possibly get into commercial real estate investment, generally ranked from easiest to hardest. This might be the freshest face on the block, and things couldn’t be simpler, especially if you are new to commercial real estate investing. In most of the options in this category, you choose an investing platform, set up your account, and then deposit your available funds. You pick out specific investments using an interactive platform and then get updates through email or the online dashboard. At the time of writing, there were three primary ways of jumping into this. The first was crowd funding, where you can be a part of a group that jointly funds accredited investors focusing on a specific property. The second is an eREIT, where investments are gathered into a working capital pool used for more than one deal simultaneously, similar to crowd funding, but usually without the accreditation status. The third option is either a robo-advisor or auto-invest tool, where you set a certain investment goal such as growth or income, or then the platform will automatically deploy your capital in increments over time per those guidelines. Online investing offers the benefits of only requiring light levels of capital and skill. In contrast, the risk and rewards are only mild to moderate. Real estate investment trusts aren’t that different from mutual funds of stocks or bonds. They can be non-traded or publicly traded, they might have their own corporate structure complete with shareholders, and they’ll often have a prospectus about what happens with investment money. Many usually follow specific regulations for reporting their performance and have clearly identified exit paths. If you decide to become one of the shareholders of an REIT, then your investment will handled by a manager or management team, who themselves answer to a board of directors. Again, only light capital is required here, nor do you need much skill, since someone else is handling the actual investing details. Still, they can make mistakes or miscalculations. That combined with the limited nature of this makes your risks and rewards moderate at best. If you like the idea of commercial real estate investing that doesn’t take a lot of skill, but your capital availability is more moderately leveled than the previous two options, then you might want to let a dedicated expert manage your resources. He or she can acquire and develop properties for you as you invest assets into a private fund. Likewise, you might sign onto an investment team as a limited partner, where others are responsible for increasing or at least preserving the fund’s capital in the market. Immediate liquidity is not something you can expect here, but the upsides are that you don’t need much skill nor will you have to put a lot of time into this. The flip side of this rather traditional investment method is that it can take substantial capital to break into this arena. It’s a good middle ground between the first two ‘retail’ investing options but not yet having enough to actually buy your own properties on your own. This option is one that moves into an area requiring intensive levels of capital, high skill level, and stomach for high risk. Having said that, the rewards are also potentially quite handsome. The action you take here is to buy a commercial real estate property, but only after it’s been fully developed and has demonstrated a consistent ability to generate robust cash flow. If you find such a location and become the owner, then your own financing, leasing, and management should simultaneously preserve or even grow your wealth through maintaining or increasing the property value while also profiting from the cash flow for steady income. However, mistakes and mismanagement of any magnitude can wind up destroying everything you put into it. If you’re ready to swing for the fences with the deepest of pockets and the most understanding of how commercial real estate works, then actually constructing a new property is the penultimate option. Turning undeveloped land or razing something in order to build an office building, strip mall, or apartment complex means you have a handle of everything from planning and approvals to financing the construction and leasing out the physical units. Most developers that head into projects like these expect a minimum return of at least 20 percent, given all the heavy risks involved. Again, this option is only open to a select few who have the skills, knowledge, experience, time, and money. Having said that, if you’d like to be a part of such an adventure and can’t do it all on your own, then start networking around town. While some of the other options on this list might let you invest in commercial real estate far from where you live, it’s best to only do this one in your own immediate market. 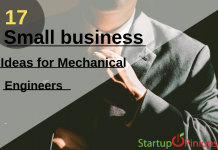 You might be able to join a group of investors that pull their resources and talents together to collectively finance such a project. Investing 10 percent of the funds needed likely would mean you take a backseat to a majority partner calling the shots, but it could also mean you enjoy 10 percent of the profits on such a massive undertaking, and that can be quite the payday. Click here to find commercial real estate for rent near you.